Moonscape | Zonyxa. Unique and contemporary jewellery for Work. Love. Play. A triumph of shapes in deep earthy colours informs this brilliant statement. 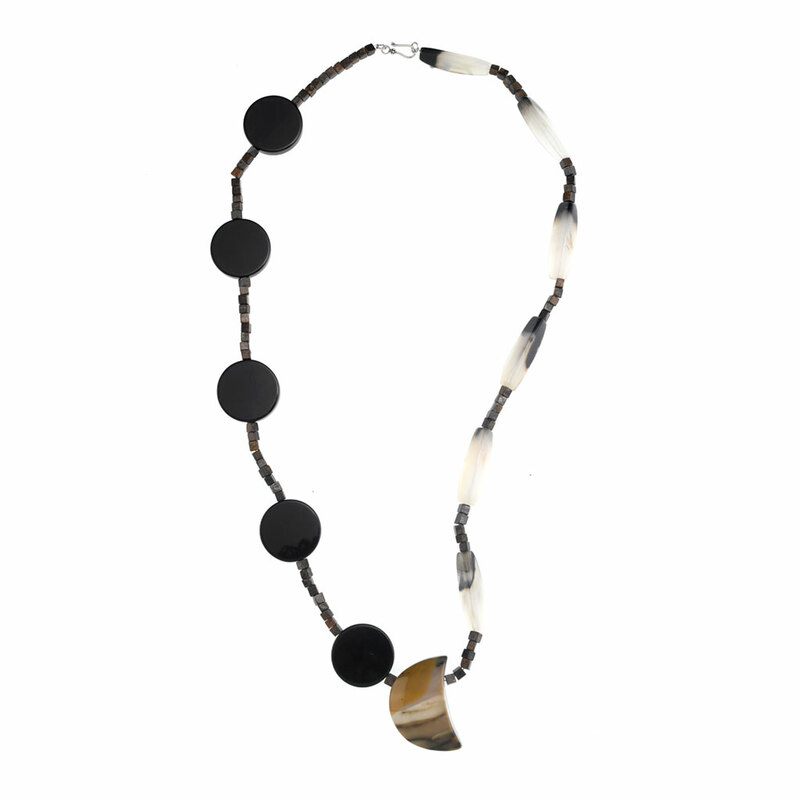 On one side, tactile triangular agate lozenges, on the other polished onyx discs, with a sensuous half-moon shaped agate the centerpiece, a crowning touch. Tiny cubes of natural brown bronzit complete a piece that will lift your mood no matter where, when or what you are wearing. Materials: Onyx, agate, triangular agate and bronzit.